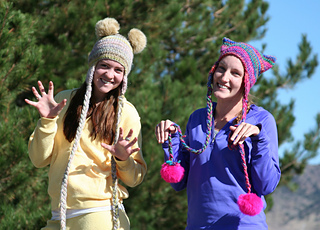 Sparkle Bear and Glitter Kitty are the best of friends and they sure know how to dazzle a crowd! 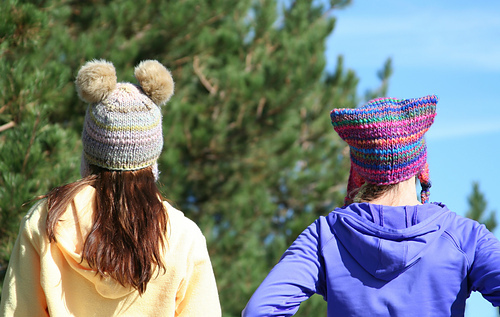 These two adorable hats, knit in Berroco Brio yarn with Universal Yarns Luxury Fur Pom Poms for adornment are the perfect quick costume knit! 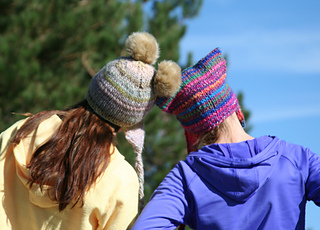 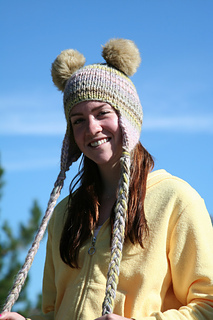 Knit on big needles and bulky yarn, you can make one of these in an evening with plenty of time to spare for other projects. 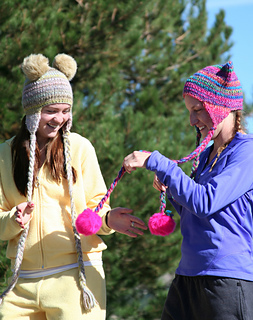 Sparkle Bear has furry ears and long Rapunzel- style braids while Glitter Kitty has pointy ears and fun pom poms on the end of her braids to play with when she gets bored. 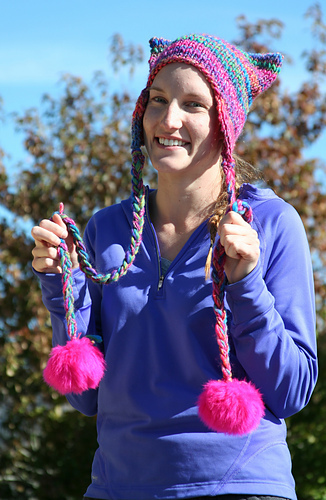 Either way, these make a great last minute Halloween costume with the glitter, or even knit in a solid yarn like Classic Elite Wynter, a reflective yarn like Schachenmayr original Lumio, or a furry yarn like Erika Knight Fur Wool! 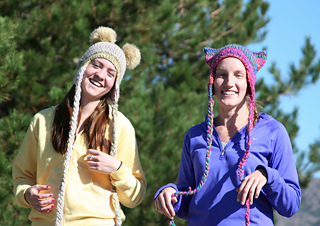 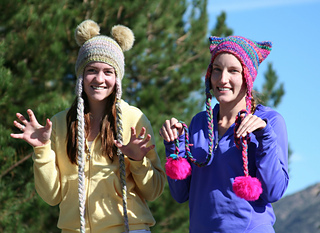 Any way you knit them, Sparkle Bear and Glitter Kitty are sure to be the life of the party!